Marblehead on the Coast, or often referred to as Marblehead Coastal, is one of the newest beach front gated community here in San Clemente. In Jan 2015, ground has been broken for the new homes in the neighborhood of Sea Summit at Marblehead. It is speculated that individual custom homes will be built on lots closest to the ocean. These prices for ocean view homes will range anywhere from $2,000,000 to $3,500,000. This is a master planned community for residential homes and condos. Architecturally, some of these residences will exhibit authentic Spanish & Italian influences consistent with the history of San Clemente. A large Retail Center at Marblehead Coastal has been built next to the highway off Vista Hermos exit which is a short walk to the Sea Summit homes and the beach. It includes small boutiques, shops and restaurants, as well as a multi-screen movie theater and bookstore. The plans incorporate intimate courtyards and paseos, with outdoor fireplaces, casual seating and other amenities as a gathering spot of locals and visitors of San Clemente. Parks and Trails are another part of the Marblehead Coastal development. They range from large community parks, small pocket parks, and parks on the ocean bluff overlooking the Pacific Ocean. The trails would be connected with the rest of the community providing a network and trails and walkways which would cover Marblehead Coastal's various terrain and hills and take residents down to the ocean. 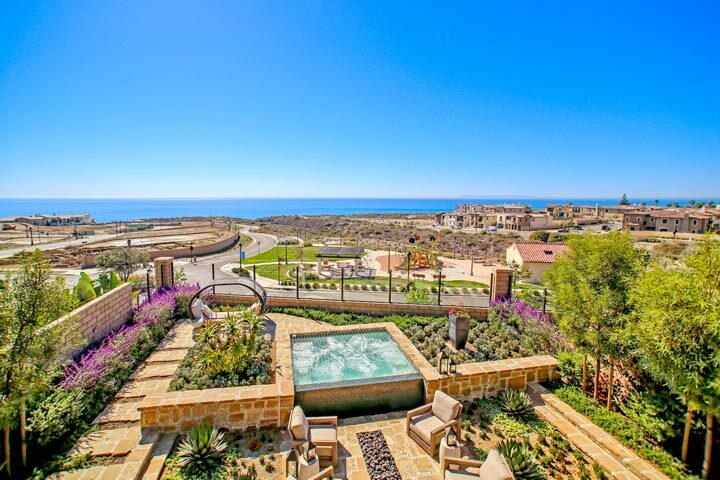 As an alternative, The Strand at Headlands is a beach front community currently under construction which offers great amenities and is a beach front community just south of the Ritz Carlton in Dana Point, California. Please contact us at 888-990-7111 with questions regarding any of the beach communities here in South Orange County.